'The Coo Shed' (formerly Old Steading Holiday Cottage) is over 200 years old and was the original cow shed. Now renovated to a high 4 star standard. 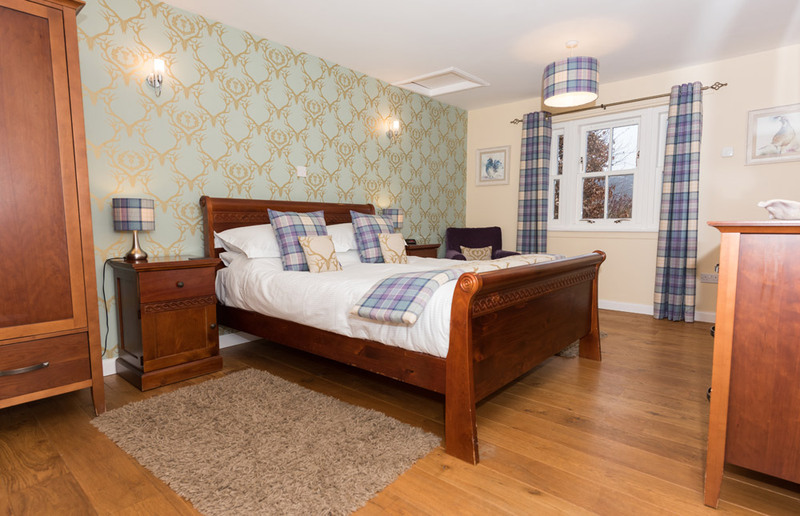 'The Groose Hoose' (formerly New Steading Cottage) is equipped to a high 4 star standard and offers a stylish and comfortable self-catering experience. 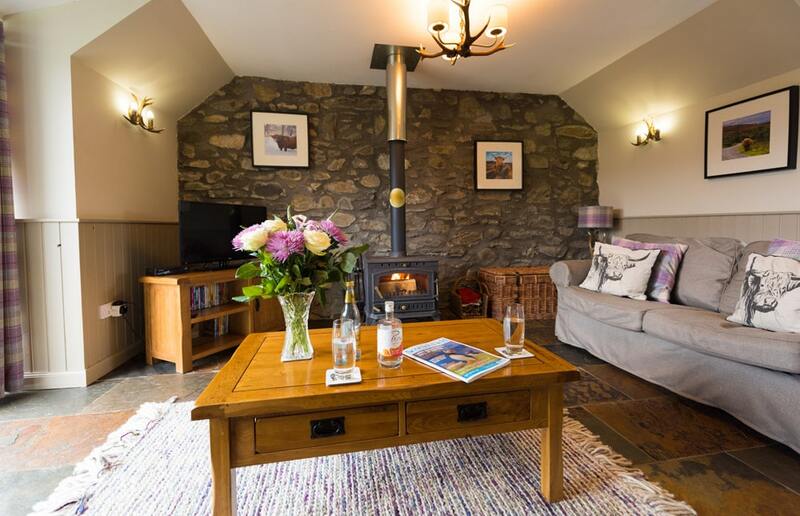 Smiddy Cottage was originally the blacksmiths in the area, but is now a well-appointed family holiday cottage, with stunning views across Glenshee, Perthshire to the hills and forests. "The Treehouse is like a penthouse suite, but more personal, cosy & with views that are simply sensational. Our stay here was wonderful - watching the weather-scape roll past the windows, while enjoying delightful comfort was very relaxing. It was a magical experience. All the attention to detail Sue & Philip have put into the Treehouse has created somewhere very special. Thank you!" "We chose your treehouse for a relaxing few days away and it certainly didn’t disappoint!! From the moment we walked through the front door we were amazed, everything is just perfect. The views while sitting in the hot-tub on a winters afternoon in the snow are just magical. We will definitely be back next year!" "We have had a fantastic few days here. 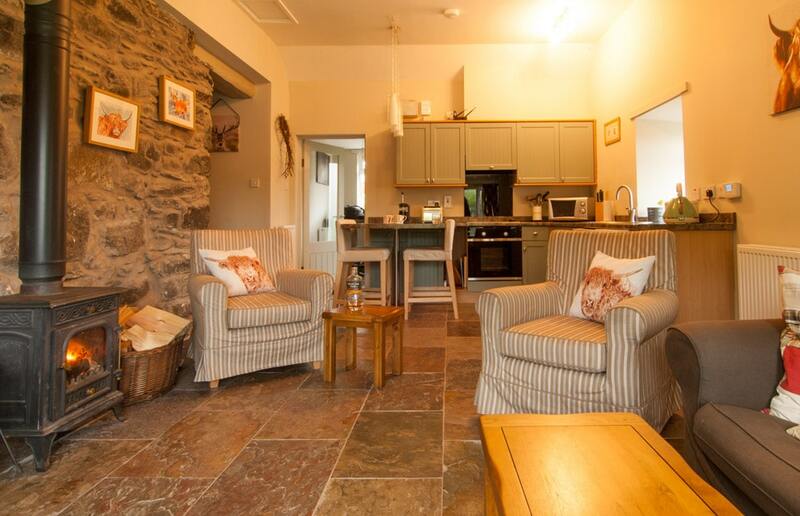 We cannot fault this place at all: great views, excellent location, stylishly decorated cottage with the added luxuries of a hot-tub & log-burner! The whole set-up is very professional and there have been some thoughtful touches. Thank you – we will return soon!" "We couldn’t have picked a better place for our honeymoon than this. Turn the deck lights off when in the hot-tub and the stars are spectacular. Also sleeping with the curtains open gives you a spectacular sunrise to wake up to. Great area for walking and relaxing in front of a log fire in the evening. Thanks again. " "We were luck enough to book the Scots Pine Treehouse for our mini-moon after staying in Smiddy Cottage earlier in the year. The Treehouse surpassed all our expectations, even after seeing the photos on Facebook. We couldn’t have asked for a more perfect and relaxing start to our married life together." "This place . . . there are no words! We were lost for words when we came through the door, the high ceilings, the fireplace, the views were breath-taking, especially more so from the hot-tub, even at night. We were lucky enough to see a shooting star! And the bathroom – oh my, if I only had this at home! Thanks for such a wonderful experience here at the treehouse!"